GREEN LIFE: Griffith University Senior Lecturer in Urban & Environmental Planning and 202020 Vision advocate Dr Tony Matthews. ALTHOUGH one in four Australians will be aged 65 or older by 2056, new research shows urban environments are not being designed with older people in mind, especially when it comes to heat. 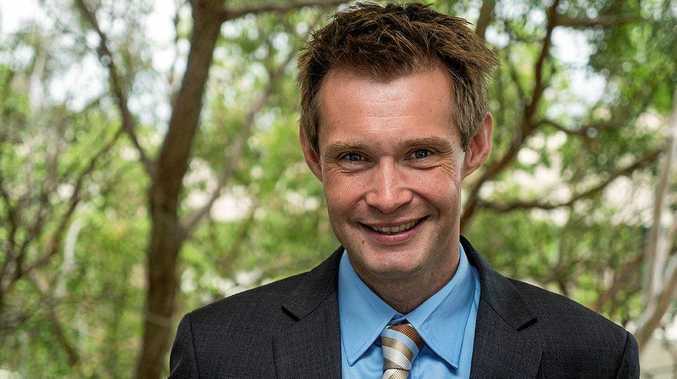 Griffith University senior lecturer in urban and environmental planning and 202020 Vision advocate Dr Tony Matthews believes there is a need to act on urban greening to address age-related deaths from heatwaves. The 202020 Vision is a collaborative national initiative of more than 400 industry, council, state and federal government bodies, businesses, not-for-profits and academic sectors working together to increase and improve urban green space by 20per cent by 2020. Dr Matthews said urban greening offered many benefits for a relatively low cost. "Urban greening benefits include the potential to reduce urban heat, promote social inclusion, improve a sense of place, boost property values, increase physical activity and improve people's sense of well-being," he said. "It also allows more options for recreational and social activity and to develop new activities like community gardens. "Well-planned greenery can provide shading along streets, which improves walkability and may make people feel more inclined to go outside, particularly on warmer days." Which Brisbane suburbs demonstrated good urban greening? DrMatthews said most middle-ring suburbs 5-10km from the centre of the city developed in the post-World War II period often showed good greening. "In these suburbs, most of the houses remain detached on a quarter-acre block with plentiful trees, as well as private and public green space including backyards, public parks and sports ovals," he said. Suburbs on the urban fringe often had the least amount of urban greening because land prices and planning policies combined to create dense suburbs, Dr Matthews said. "Some inner-city suburbs, such as Fortitude Valley, also suffer from limited greenery because they are part of the fabric of the urban core, meaning that most land is high value and either densely developed or earmarked for future dense development," he said. While local councils have a significant role, urban greening was also essential for individual properties. "Trees can often be viewed as troublesome or messy or unruly to residents and they don't want to have to maintain them," he said. "Ultimately the benefits, particularly when it comes to heat mitigation, massively outweigh these minor inconveniences." To find out about urban greening, go to 202020vision.com.au.